Luxury jeweler Tiffany, which has D.C.-area stores in Chevy Chase and Tysons Corner, has opened its first store in the District, and is showing off some of its historical works. 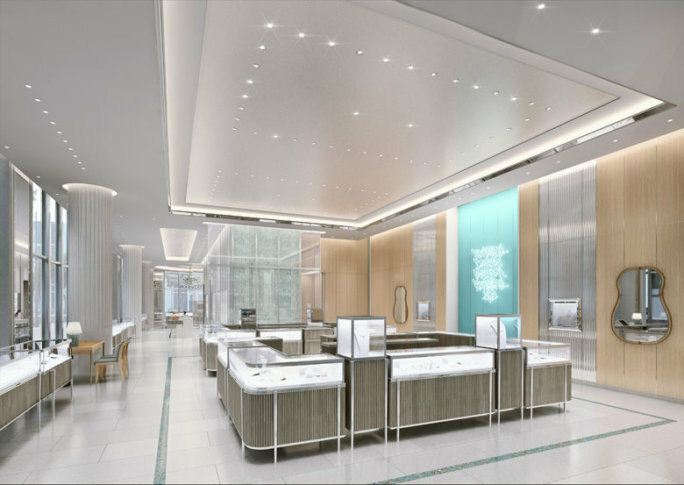 The store is at 960 New York Ave. at CityCenterDC, and to mark its new D.C. location, it will exclusively sell a Tiffany sterling silver Washington, D.C., postcard charm. The D.C. store is also hosting a monthlong Tiffany Archival Exhibition through March 31. The exhibition is open to the public. The items displayed include a platinum and diamond American flag brooch, a necklace and brooch from first lady Mary Todd Lincoln’s personal collection, President Franklin D. Roosevelt’s Tiffany gold watch, a diamond and ruby clip worn by first lady Jacqueline Kennedy, and a collection of U.S. seals, all designed by Tiffany & Co.
“Washington, D.C., has played a significant role in Tiffany & Co.’s history. Historical figures, presidential leaders and first ladies have donned our designs,” said Alexandra Winokur, group vice president of Northern America Retail. “In fact, Tiffany designed some of the most important U.S. seals in American history, including the Great Seal of the United States, which can be seen on the dollar bill,” Winokur said. The 5,000-square-foot CityCenterDC store has an all-glass facade and a one-of-a-kind gilded Tiffany Blue magnolia chandelier. Tiffany, founded in New York in 1837, now has more than 300 retail stores around the world and had $4.2 billion in 2018 sales. Business & Finance citycenterdc Fashion News jeff clabaugh jewelry Life & Style Living News Photo Galleries Things to do in DC tiffany Tiffany & Co.